Meet our English-speaking tour guide & driver at the arrival hall, take about 1.5 hours drive to Badaling Great Wall, the most famous part among the whole sections. Many famous people such as President Nixon and Lady Thatcher ever visited it. 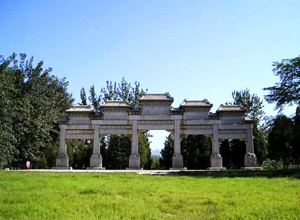 Hike the wall for1.5-2 hours and go to Ming Tombs where lie the mausoleums of thirteen emperors of the Ming dynasty. 1.5 hours stay at Ming Tombs and back to the airport.